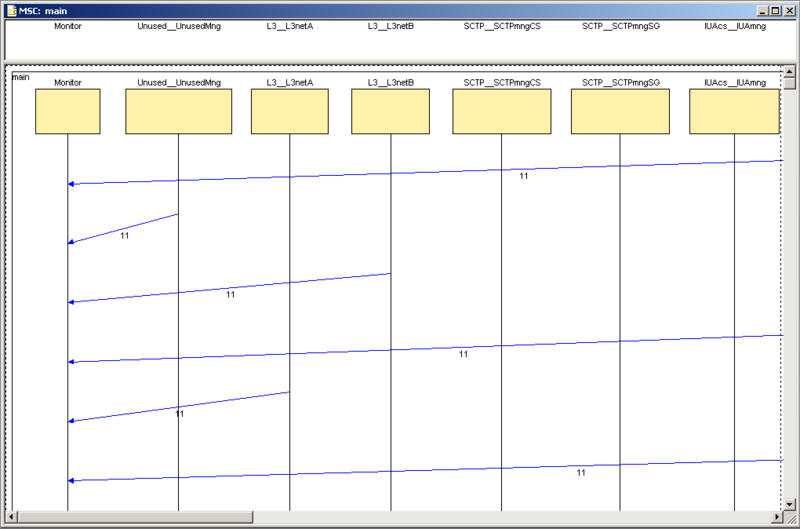 Spin trail to a Message Sequence Chart conversion tool (st2msc) was developed as an auxiliary tool to a well-known Spin model checker. If the model of the system does not satisfy the specified requirement, Spin outputs the trail that demonstrates the exact execution path of the system that leads to the wrong behavior. For the real-life systems the Spin trail can be very long and thus very difficult to explore. 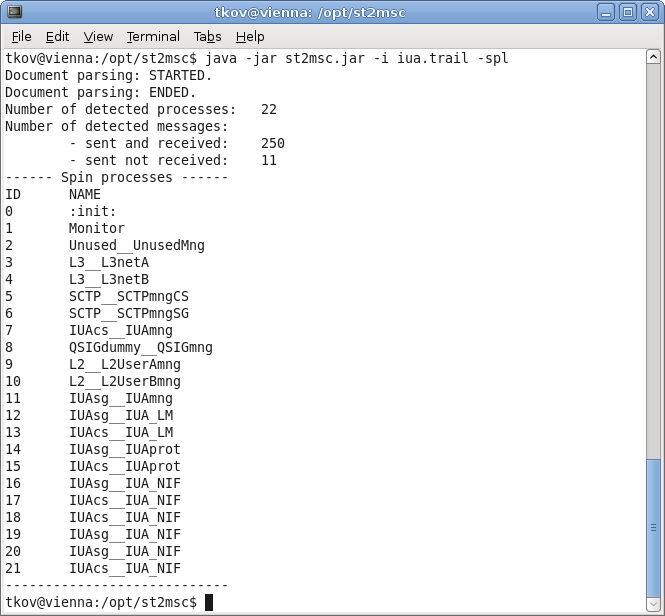 The st2msc tool converts the Spin trail to a MSC diagram that can be additionally optimized to ease the search for the cause of an error. 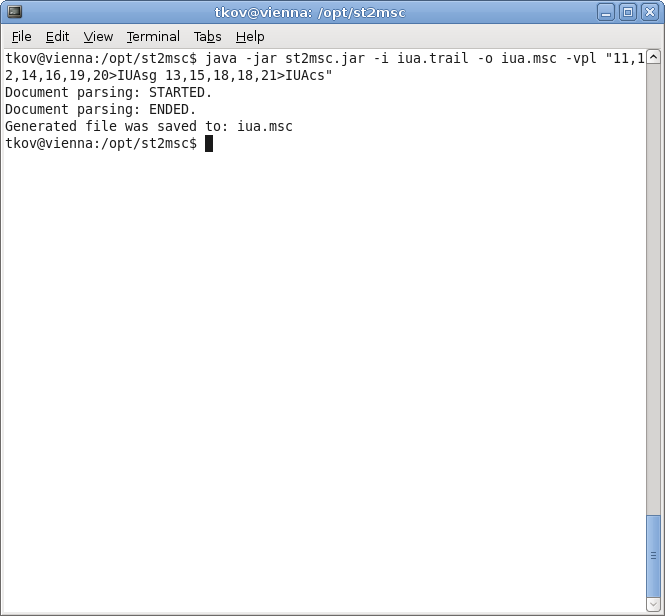 The program is compiled with Java 1.6.0_07. 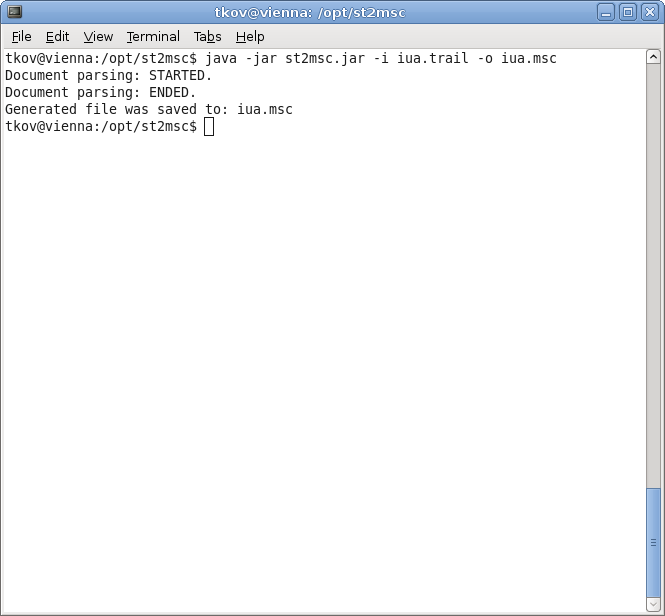 java -jar st2msc.jar -i input.trail -o output.msc "1,2,3,4>newProcess"
java -jar st2msc.jar -i input.trail -o output.msc "1>message1 2>message2 3>message3"